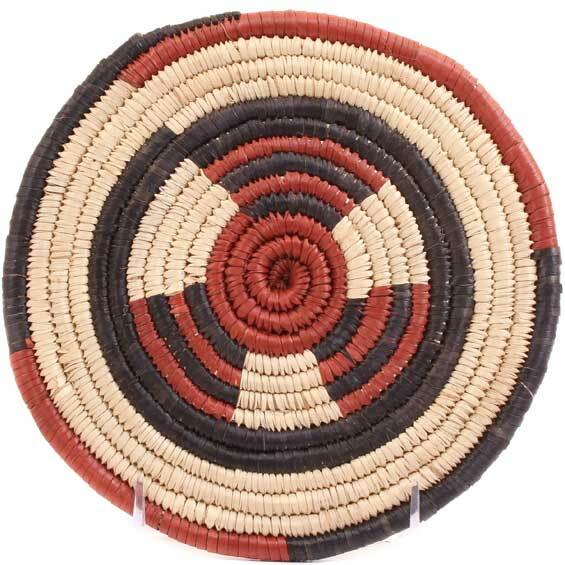 These distinctive, flat baskets are great for a wall display or for use as a trivet. Mbeedu Roneles from the Fulani people are used to cover calabashes, which are traditionally used for food storage. The Fulani people are the largest nomadic tribe on earth and are now found inhabiting more that 20 Northern and Central African countries in an area larger than the United States. Palm leaf is stitched over grass coils to create this flat basket.